As technology advances and has an even stronger hold on our lives, it could create a void that leads to depression and anxiety. When smartphones and high-speed internet came into existence, most people believed that it would change the world as we know it. Obviously, it did change everything—creating a huge generation gap while also paving way for a whole new generation to be susceptible to new found side effects of mental health issues. The biggest implication of this is that most people don’t realize they are under tremendous stress, and technology is further boosting their problems in ways they might never have imagined. 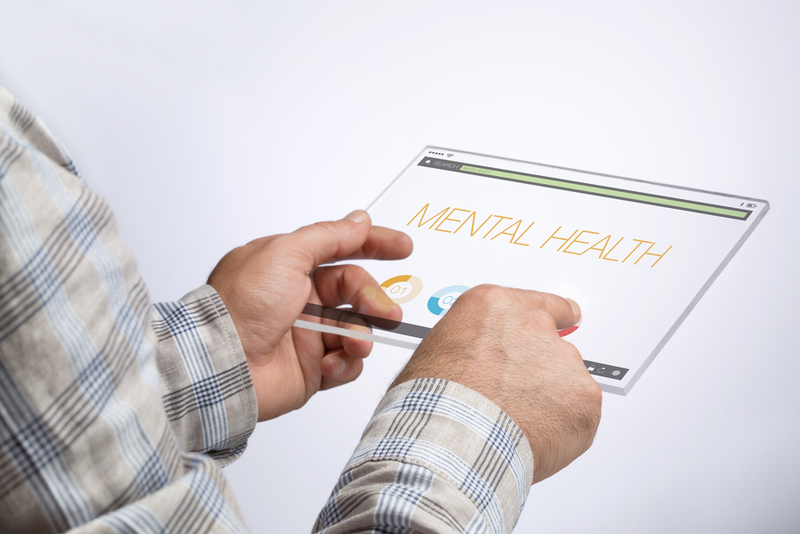 Below is an overview of nine signs that it’s time to seek professional help from a technology-induced mental health problem. Many have developed a habit of looking at their smartphone for no reason, expecting something like notifications, messages, social media posts or updates to keep them engaged. Just try to avoid looking at your display for one hour and if you feel restless during the period, you are affected already. Social media websites like Facebook and Twitter were invented to help you stay in the loop. But if you feel extremely sad, depressed or annoyed after scrolling through dozens of posts, it looks like social media could be affecting your mental health, and it may be time to stop using it. If you are worried about your online privacy, check out this guide for changing your IP address to another location, which does improve your security and anonymity while you’re using the internet. At some point, your life may feel empty with no direction for what you want to do in the future. When you find it too difficult to explain your goals and feel totally lost, you may be confusing your own goals with what people are doing online. This is a very common experience many people have when they use social media on a near-constant basis. Comparison is an inevitable part of human life and society. But at the end of the day, it is you who should make decisions on your own without comparing yourself with others. Social media platforms such as Instagram create an environment that indirectly encourages this behavior. Your most exciting moment could come crashing down on you when you see someone else’s updates online and feel it’s nothing compared to what they have achieved. Spending hours and hours on a desktop computer or smartphone is not going to change your life unless you do something to reach your aspirations. If you suddenly feel guilty that you are spending too much time with devices and not with friends or family, trust your subconscious mind. It is making the right suggestion. Technology is a double-edged sword as it helps you get jobs, work from home and stay in touch with friends. But if you want to stay online during Christmas, New Year and every other weekend without meeting anyone in person, it’s time to go for a reality check. When we talk about technology and consumer devices, it’s all about screens. Be it a computer, laptop or a smartphone, people spend hours staring at bright displays every day. Studies reveal that the artificial light emitted from consumer devices tends to affect your biological cycle, which eventually leads to sleepless nights. And this prolonged lack of sleep eventually impacts your overall performance the next day, which can cause you to slip into a depressive state. If you take notice of your daily habits and find that a major part of your life is spent replying to comments, scrolling through social media feeds and watching videos online without any real value, you can easily find that you no longer meet friends or talk to family members. This is a serious sign that you are spending too much time online. Studies indicate that this could lead to the initial stages of a depressive episode. There’s no better sign of unhealthiness than a sudden and significant shift in weight gain or loss in a short period of time. When you are emotionally depressed due to your dependence on technology, you may start to avoid any effort for self-care, including drinking enough water every day, getting exercise or eating regular meals. This is a clear indicator that something is wrong with your lifestyle. It’s important to contact a professional immediately and seek help so they could provide you the assistance you need. As technology advances and has an even stronger hold on our lives, it could create a void that leads to depression, anxiety, and many other serious mental health conditions. Watch out for these signs and take steps to get the assistance you need to get your life back on track so you can have a healthy relationship with technology while also living a happy and fulfilling life. Hello, my name is Karen Cole 40 years-old woman, living in Philadelphia, United States. I am the founder and editor-in-chief of the HealthBenefitAdmin online magazine.